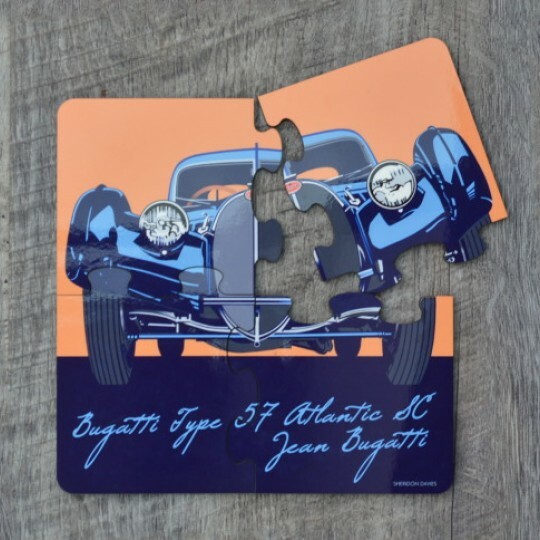 Inspired gifts and perfect presents for car loving men. 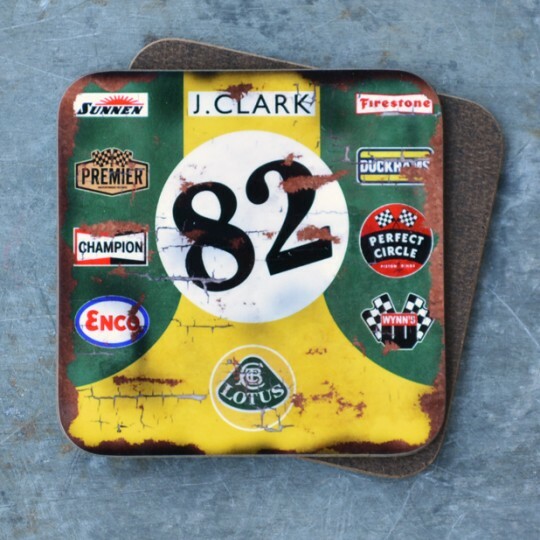 Inspired by the green and yellow oil splattered livery of Jim Clark's No82 winning Lotus our mug is .. 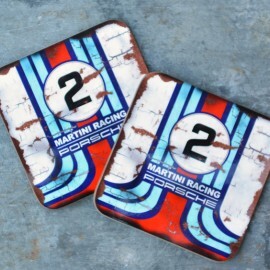 Inspired by the blue and white striped oil splattered livery of the Martini Racing cars our mug is a.. 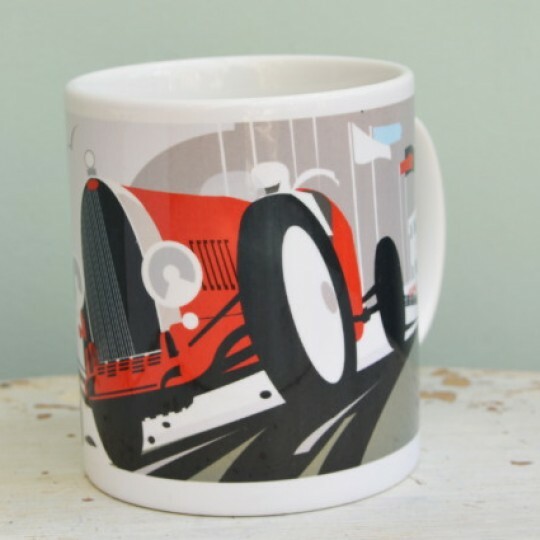 Inspired by the red oil splattered livery of the Monte Carlo Rally winning mini our mug is an eye ca.. 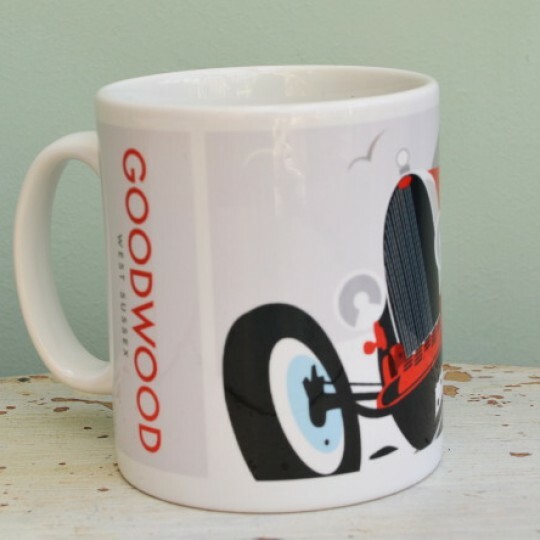 Inspired by the black and gold oil splattered livery of Nigel Mansell's JPS sponsored F1 car our mug.. 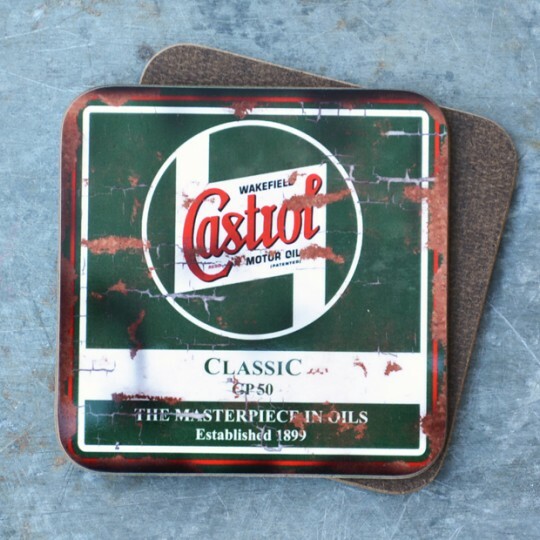 Designed to co-ordinate with the Oil Can and Racing Mugs the melamine coaster features the same oily.. 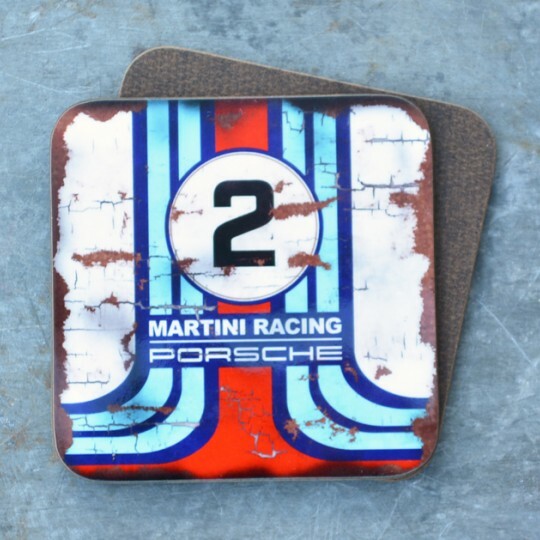 Designed to co-ordinate with the Oil Can and Racing Mugs the melamine coaster features the same old ..
Show your passion for Formula 1 with our new personalised mug.Featuring a Formula 1 racing car and a..
Add some racing style to your home with the Goodwood mug. 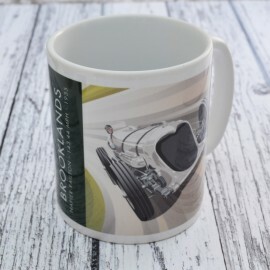 Goodwood is from a painting by renowned..
Add some racing heritage to your tea or coffee with the Napier Railton Brooklands Mug. 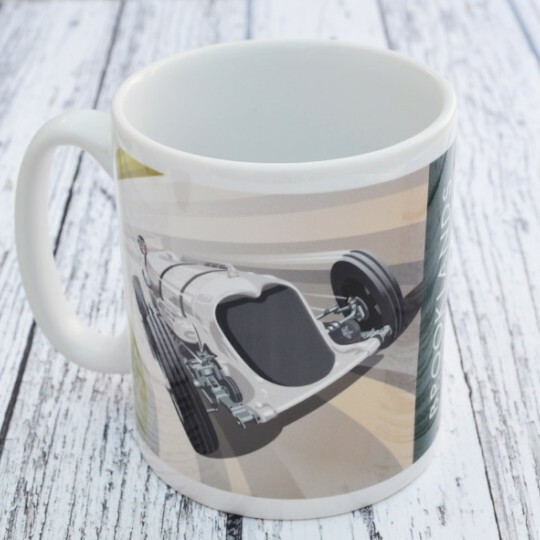 The mug&nb..
A lovely gift, the bottle stopper features a detailed steering wheel which can tilt to sit horizonta..
A sleek sports car keyring which also doubles as a bottle opener. 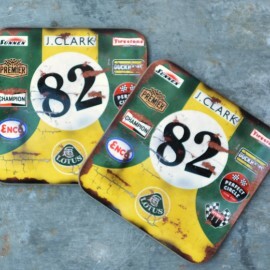 A great men's gift the sports c..
Add some racing style to the table with the sleek racing car salt and pepper set, personalised with .. 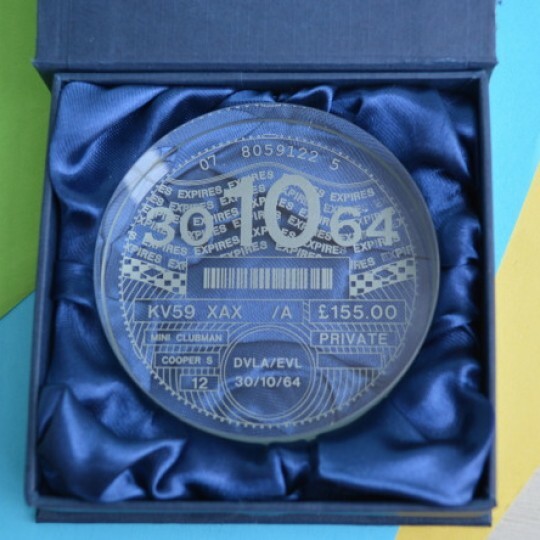 The Personalised Tax Disc Paperweight is based on the last design of the iconic UK tax disc. Desi.. 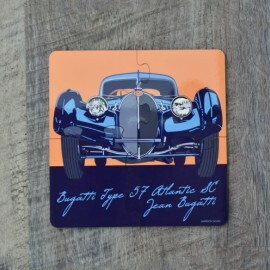 Perfect for lovers of art-Deco style and classic design, the Bugatti coasters come as a set of four .. 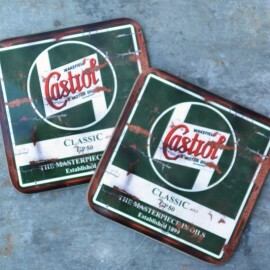 Perfect for lovers of classic cars and iconic design, the Maserati 250F coasters come as a set of fo.. 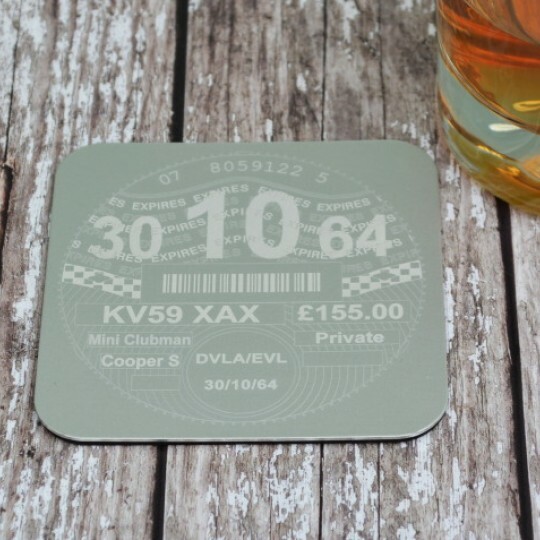 The Personalised Tax Disc Coaster is based on the last design of the iconic UK tax disc. 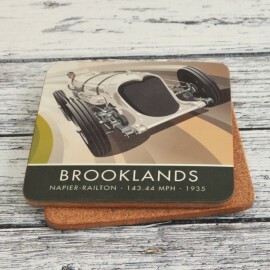 Designed..
Add some racing style to your home or man cave with the Brooklands 500 Miles Race coaster. 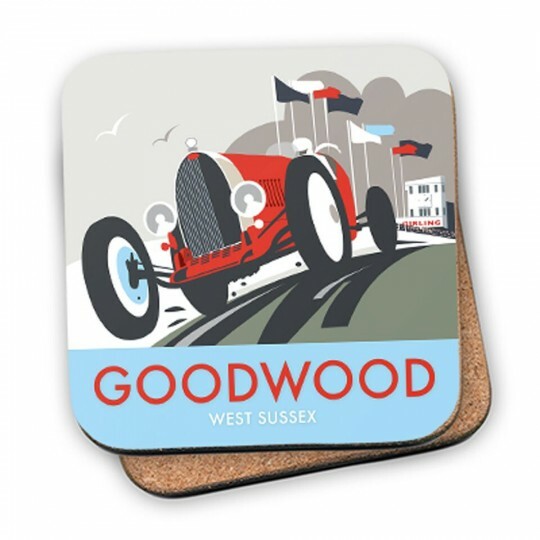 The d..
Add some racing style to your home with the Goodwood coaster. 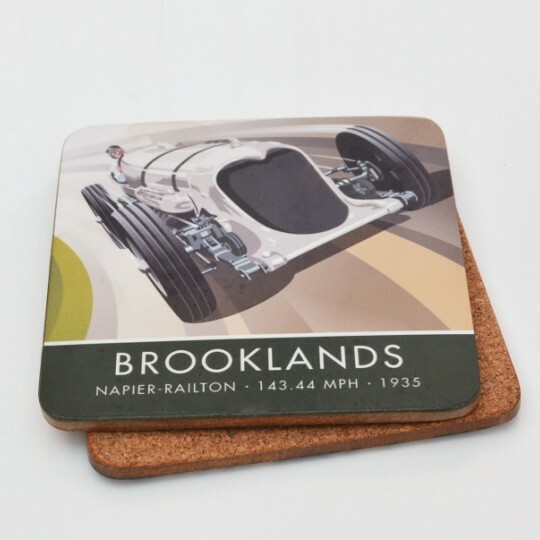 Goodwood is from a painting by reno..
Add some racing style to your home or man cave with the Napier Railton coaster.The design comes from..
Three award winning ales from Prescott Brewery inspired by the world famous hill climb course. Th..
Bluebird at Bonneville Lens Cloth. 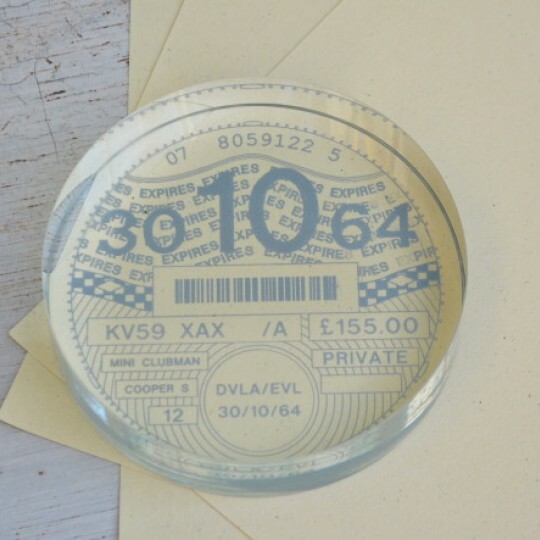 Making a basic item rather splendid, this lens cloth is perfect for cleaning glasses or for cleaning.. 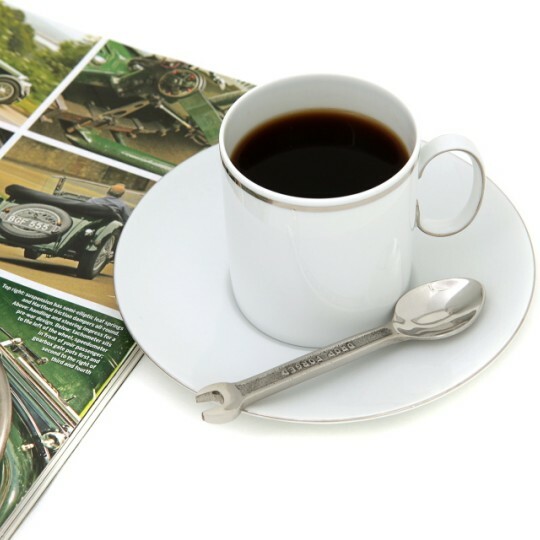 The perfect accessory for the motoring fan, our set of 4 Coffee Spoons from the Spanner Cutlery rang..
A classic in every sense. 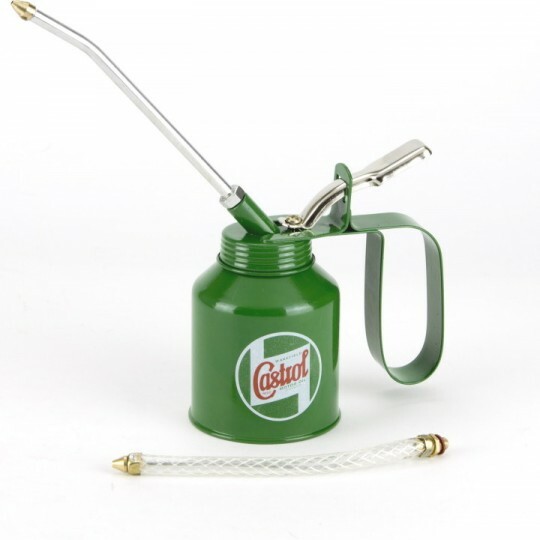 A 1 pint enamel oil jug resplendent with the classic Castrol logo. Ide.. 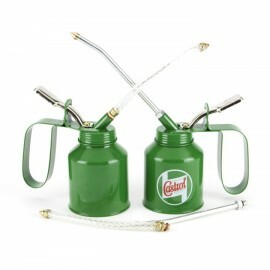 The perfect practical mug. 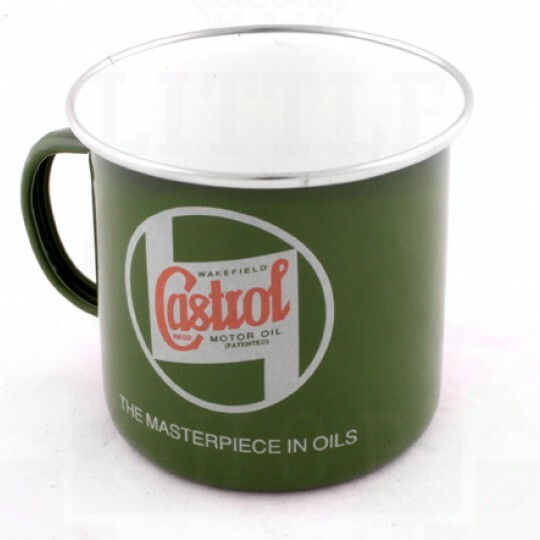 A tinplate enamel mug resplendent with the classic Castrol logo. Unbr..
A classic in every sense. 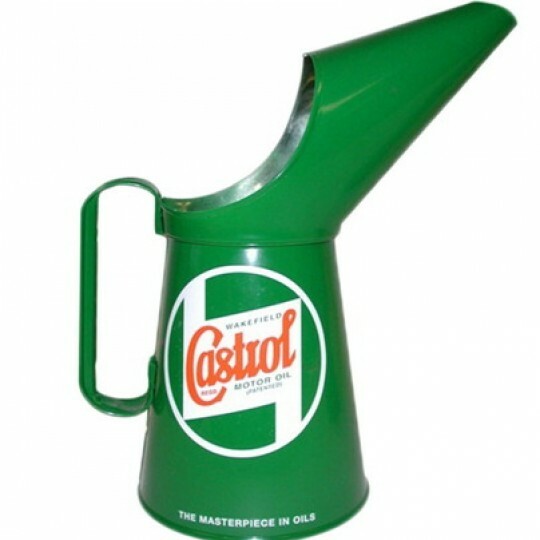 A 2 pint enamel oil jug resplendent with the classic Castrol logo. Ide..